ABS-CBNNews.com - MANILA – French airport operator Aeroports de Paris is set to start the feasibility study for the master plan and design of the proposed budget passenger terminal to be constructed at the Clark Civil Aviation Complex. 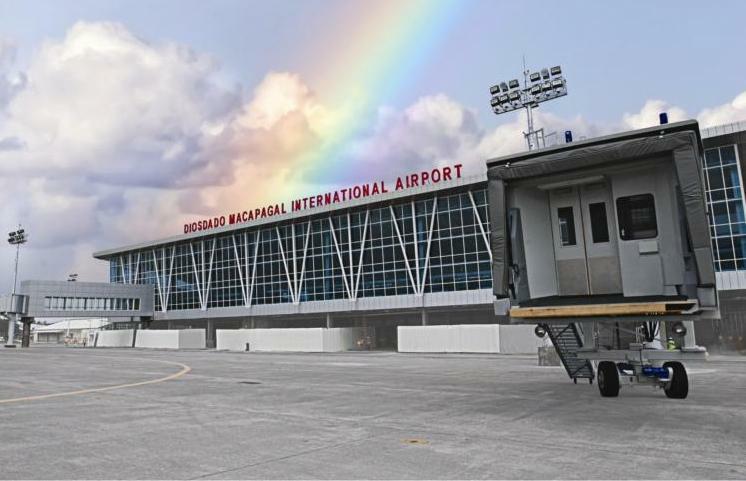 A team from Aeroports de Paris is scheduled to arrive on Monday for the feasibility study, Clark International Airport Corp (CIAC) president and chief executive officer Victor Jose Luciano said. The French company was commissioned by the Department of Transportation and Communications (DOTC) to conduct the study for the proposed P7.2 billion terminal with a capacity of 15 million passengers per year. Luciano said the national government is “fully supportive” to develop the Clark international airport, citing the approval of the P600 million budget for the acquisition of equipment, including a new dual passenger boarding bridge for the wide-bodied aircraft of Emirates Airlines and Qatar Airways. He added that the P360 million rehabilitation and expansion of the existing passenger terminal of the airport that could accommodate 5 million passengers per year is expected to be completed by February. The CIAC has other projects in the pipeline, including the installation of Navigational Aids Equipment at the runways to replace the 18-year-old systems and the establishment of the state-of-the-art 26.75 kilometer fence and 13.2 kilometer perimeter lighting system at the international airport. Several airlines, including Cebu Pacific, AirAsia, Tiger Air, and Cathay Pacific, are expected to benefit from the CIAC projects.